Home / airasia / news / tips / AirAsia MyCorporate- Would you fly low cost airline for business trips? AirAsia MyCorporate- Would you fly low cost airline for business trips? We all love low cost airlines, because we can vacation cheap. Our personal travel abroad now can cost much less, if we can manage to book cheaper tickets during a sale. But how about business travel? While companies definetly love to save some money on travel, as an employee flying at company's expense would you prefer low cost airlines or full service airlines? In all probability you would prefer a full service airline like SQ (Singapore Airline) for your official trips in Asia region. Not having to pay extra for everything, better seats, food, loyalty points, lounge access and possible upgrades tempt corporate flyers away from low cost airlines. Also, corporate flyers have different set of needs- business meetings are often decided last minute, they get cancelled, postponed etc. Thus those flying on work will need some flexibility to change dates, cancel etc at small of no fee. Hefty cost of cancellation/date change with low cost airline is another deterrent. To woo corporate employees, Air Asia has launched Air Asia Mycorporate. Exact details and pricing is not available in public domain. I guess it will be offered only to companies who register. FAQ section on Air Asia website has some more details. From what's available, companies can sign up under one of the 3 schemes- Fare Only, Lite and Full Flex. Fare only is no different from regular passenger tickets. Lite and Full Flex come with some additional benefits listed below. Not sure about cancellation policy. Express Immigration and lounge access is at select airports only. 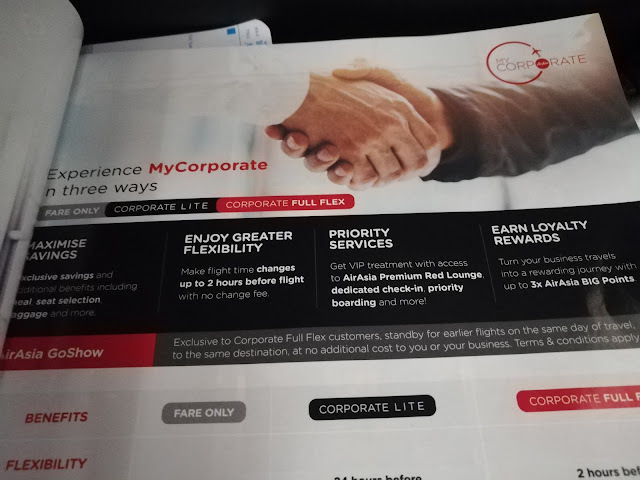 Do you think with these benefits Air Asia will be able to win more corporate flyers? Are these benefits tempting enough for you to consider Air Asia over say SQ or Thai Airways or Malaysian while flying to destinations in Asia? Many companies have tie up with travel agents to process tickets for their employees. Because Air Asia serves only one part of the world, this corporate scheme has to co-exist and compete with what travel agency would recommend otherwise. A Singapore Airline economy ticket gets you more baggage allowance, better food, alcohol and Changi is a great airport to transit through. Cost is a key factor for companies- if with these benefits Air Asia can still offer much cheaper tickets, may be CXOs will try to make their junior and mid management employees fly Air Asia where possible and save some money. What do you think? I guess AirAsia is good for corporate flyers who have to fly for business purposes, but I would not want to fly by AirAsia ever! I traveled by Airasia recently - Mumbai-LK-Melbourne, and it was a pathetic experience. You end up paying the same amount of money that you pay to Qantas or Singapore Airlines the moment you buy baggage. Traveling on an aircraft like AirAsia for 7-8 hours is a stupid idea! I had Chennai-Melbourne n back for 32k with baggage- will be 40-45k in any other airline. 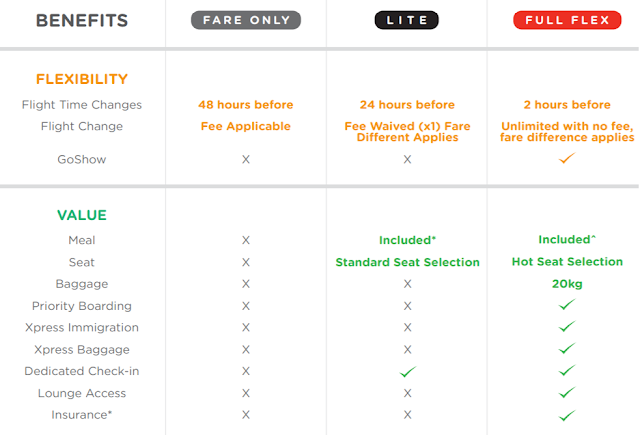 but yes, if not booked during sale, regular fare+ baggage+ food may add up to same amount. But good option for those who can manage within 7kg cabin bag. If Air Asia provides a better service at a low cost we guess if companies would consider flying in this airline!